My new camera has come into it’s own in recent days. With cloudy rainy skies, the bush walks have been a little on the dark side. But not a problem any more. 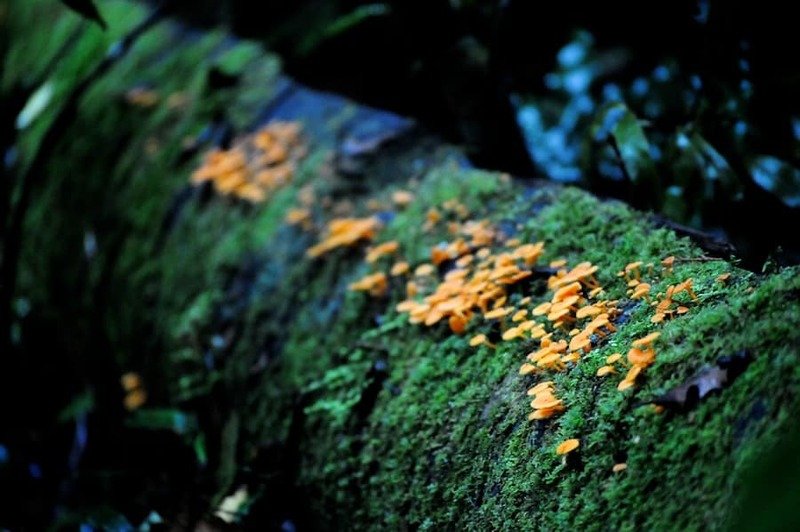 The recent showers seem to have brought out new and colourful funghi clinging to the side of fallen trees. It was a bright spot amongst the shadows during out walk today. Although we’re heading into official winter in only two weeks we’re still enjoying mild weather which is proving to be a bonus for ripening off my tomatoes in the kitchen garden. I fear the good weather will be breaking soon. But in the meantime, the bassets and I are making the most of being able to be outside. Breathtaking! I can almost hear Mother Nature whispering as I look at this photograph and watch the wonder of nature in all its living, breathing glory. So happy you’re finding moments to enjoy your new camera. Dan very generously invested in an SLR for us, which was the most wonderful Mother’s Day present. We had a chance to try it out today and wish we’d got one a long time ago!